Index: Please specify the index position of the required item. Index position should start from 1. If the specified index value has a numeric data type other than integer, then the numeric value will be implicitly converted to integer type. For example, 10.68 will be converted to 10. In this example, we are going to use the CHOOSE function with index value 0, negative index values, and non-indexing values. 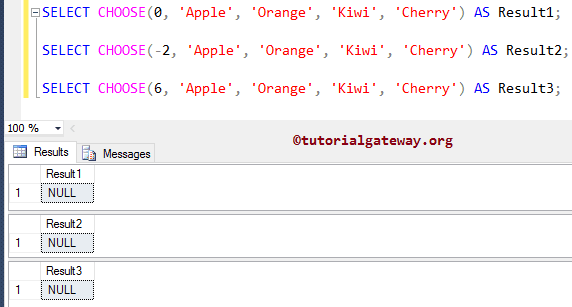 In this example, we are going to use the SQL Server CHOOSE function with numeric values. Here, decimal values will be rounded to integer, it means 1.95 will be rounded to 1, 2.05 and 2.99 will be rounded to 2. 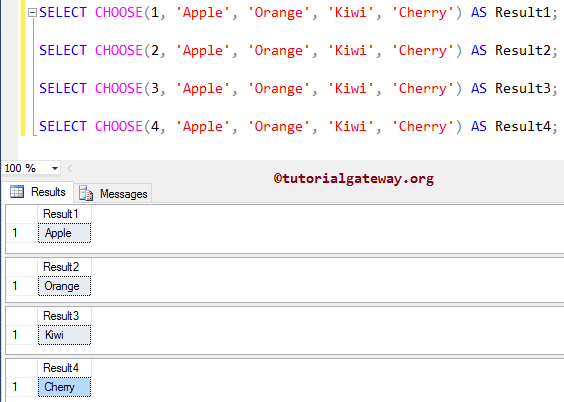 In this example, we are going to use the SQL Server CHOOSE function with string values. Here varchar 1 and 3 will be converted to integer data type. 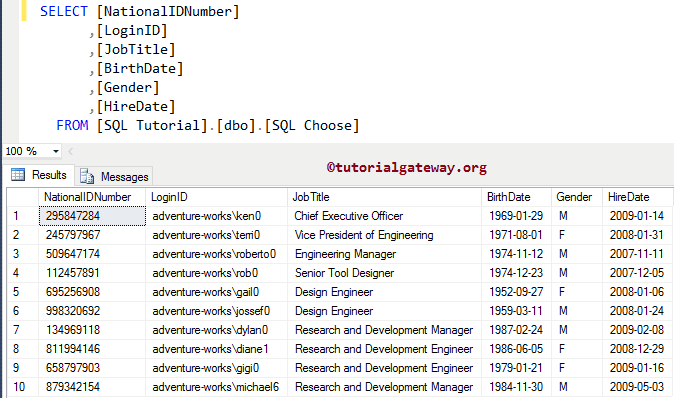 Here SQL Server is unable to convert the Varchar value one to integer data type so, it is throwing error. 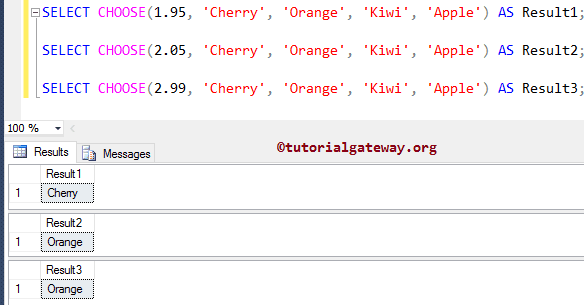 Following screenshot will show you the data inside the table. 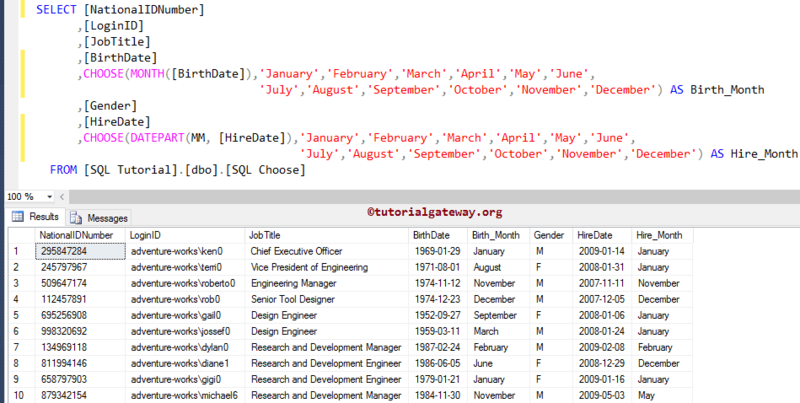 In this example, we will use SQL server CHOOSE function to convert the Month numbers to January, February so on.